If you weren't aware of it, Ancestry.com has released a new collection, U.S., Social Security Applications and Claims Index 1936--2007. 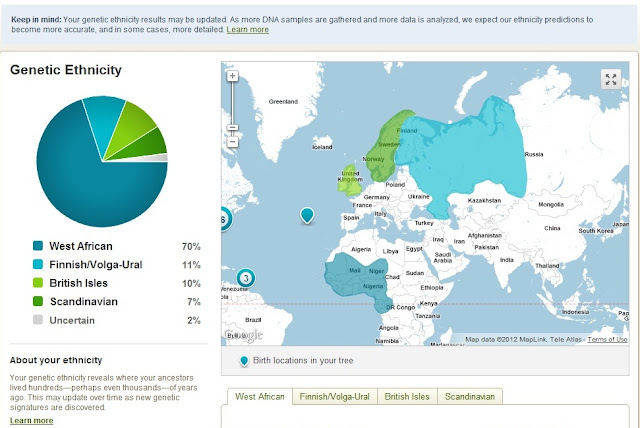 Check out the Ancestry blog here for more details. I was checking to see if I could learn anything new about some of my Morehead City, NC ancestors and found a wonderful detail that had eluded me until now. My great grandmother Ophelia Jones Bryant, I've written about quite a bit on this blog. Her photograph is what inspired me to learn more about my ancestors. Anyway, there's this thing that had been bothering me for a long time that I did not know about her. 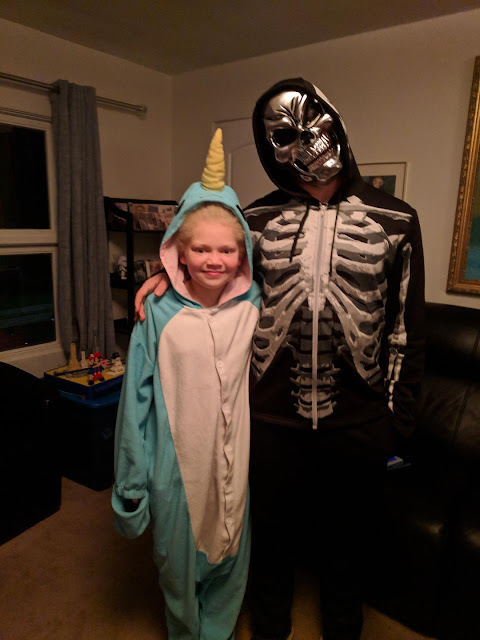 Her middle name was Thomson/Thompson! 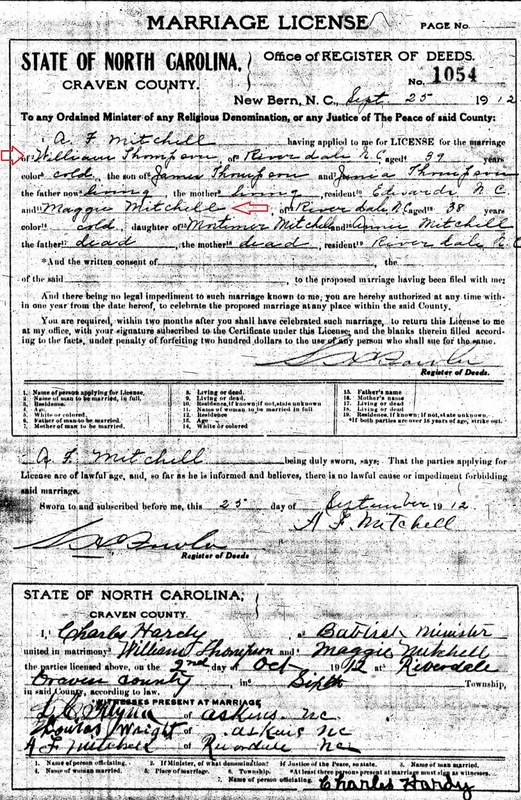 What's cool about this find is that I know now why my grand aunt Eloise Thompson Bryant Grigsby's middle name was Thompson. I then asked myself the question, why did Rosa Mitchell Jones, Ophelia's mother, choose Thompson for Ophelia's middle name? I thought about it some. I looked at census records to see if there was perhaps a neighbor who had the Thompson surname. Then I remembered this. 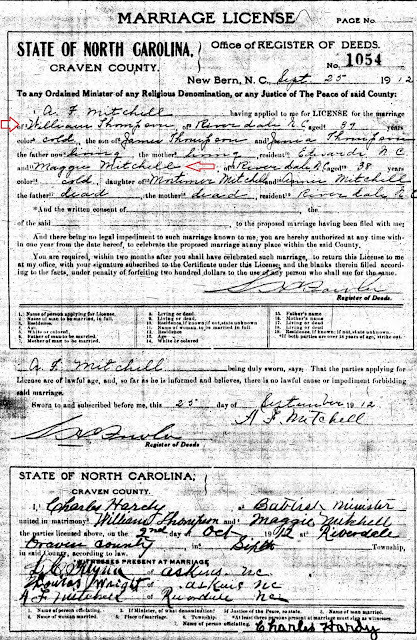 Rosa's sister Margaret "Maggie" Mitchell of Riverdale, NC married a William Thompson. 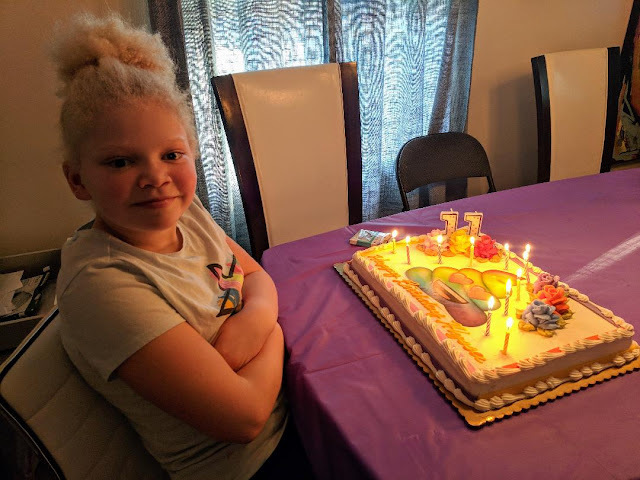 Maybe the Mitchell and Thompson families were friends. 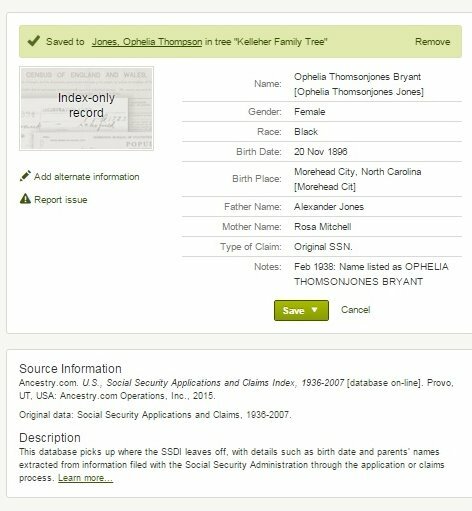 Perhaps giving Ophelia the middle name "Thompson" was Rosa's way of honoring that family.